Another good entry-level DSLR from Nikon, but has enough changed? 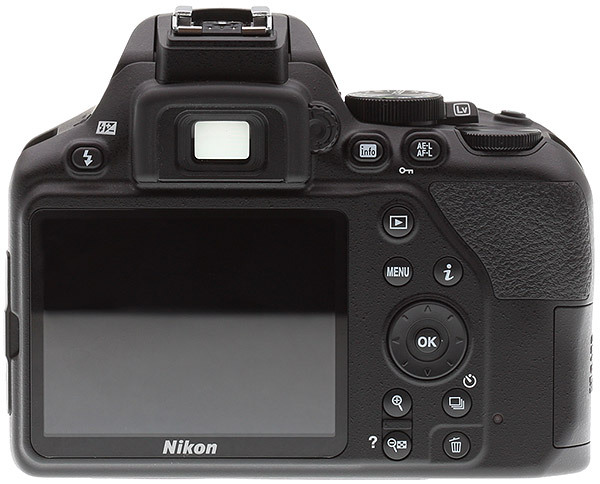 In 2014, Nikon launched the D3300, which proved to be a great entry-level DSLR for many reasons. Its 24.2-megapixel APS-C image sensor delivered image quality above its price point, and the camera was compact and easy to use. The strengths of that camera, and the D3400 that followed, are on display again with the new Nikon D3500. While the effective resolving power stays the same at just over 24 megapixels, the D3500 does include a new image sensor. The camera continues to offer the same native ISO range of 100 to 25,600 as the D3400, but Nikon stresses that image quality is improved. Further, the D3500 is even more compact and easier to use than its predecessor, featuring a redesigned front grip and a reorganized top deck. However, some of weaknesses of the earlier versions remain. For example, the D3500 continues to rely upon an aged 11-point autofocus system and offers only Full HD video recording. As is the case with every camera, the D3500 includes pros and cons, but like its predecessors, the D3500 continues to be a capable camera and a great value. Let's take a closer look at how the entry-level DSLR handles in the field. The D3500 gets a design revision. The front grip is narrower, but is deep enough to offer a good grip. It may not be apparent in a product shot, but the D3500 is very compact. The Nikon D3500 is 4.9 inches (124 millimeters) wide, 3.9 inches (97mm) tall and has a maximum depth of 2.8 inches (69.5mm). The camera weighs a mere 12.9 ounces (365 grams) without a battery or memory card. Having shot with the D3400, the D3500 feels quite a bit different in the hands and is a more refined camera. It's one of the smallest and lightest DSLR cameras I've used, and according to Nikon, it's their most portable DSLR to date. The front grip is narrow but surprisingly deep, which allowed me to get a very good hold of the camera, despite the small overall size of the body. The textured surface on the camera feels good too. The shutter release has a responsive feel and is located in a comfortable position. Further, the buttons on the rear of the camera, which have all been moved to the right of the display, are easy to reach. I do wish that the exposure compensation button on the top of the camera could be reprogrammed to handle a different task, such as controlling ISO, but that's a minor complaint. That said, you do have to dive into a menu to change ISO. To enable Auto ISO, you also need to go into the camera's shooting menu. Coming back to the rear of the D3500, the display is a 3-inch LCD with 921,000 dots of resolution. It is not particularly sharp, but it does the job. Unfortunately, it is fixed in place -- you can't tilt or swivel the screen. It also lacks touchscreen functionality, which would be a nice feature because a well-designed touch-based user interface can be very intuitive for new photographers. The optical viewfinder is a bit lacking, offering only 0.57x magnification (35mm equivalent) and about 95 percent frame coverage. This isn't unusual for an entry-level DSLR, but it can still be frustrating to have something sneak in on the edge of the frame that you couldn't see when composing a shot. The D3500 does offer Live View as well, so that can help with composition, especially if you are working on a tripod. Overall, the D3500 is a well-designed entry-level DSLR. The redesigned grip is a welcome improvement and the camera is very compact and lightweight. Simply put, it feels good to hold and use. While a better viewfinder and a touchscreen would be nice, the D3500 feels good to use overall. The D3500 has the same megapixel count (24.2) and ISO range (100 to 25,600) as the D3400, but the sensor has been reworked according to Nikon. Like its predecessor, the D3500 lacks an optical low-pass filter, which results in images with nice fine detail, yet with an increased risk or moiré artifacts. I personally didn't run into issues with moiré, but it can happen with detailed repeating patterns, such as certain clothing materials. Paired with an EXPEED 4 image processor, the D3500 delivers images with very good detail and overall appearance across a wide range of ISO speeds. The camera does pretty well at higher ISOs, but really shines at the lower end. Near the base ISO, the images are clean and deliver very good sharpness for an APS-C camera. For users who might crop or make large prints, the 24-megapixel sensor delivers a good amount of detail to work with as well. At higher ISOs, the camera applies pretty good noise reduction to JPEG files. It can smudge out some fine detail, but it does a good job of reducing noise without overdoing it. 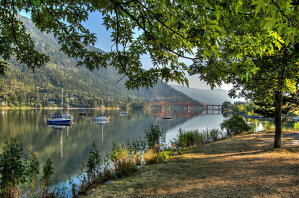 It strikes a good balance between retaining the important details and reducing the visible noise in an image file. If you find that the noise reduction is not to your liking, I advise processing raw files and using noise reduction in your image editing software of choice. For those who want to simply shoot and then share the images straight from the camera, you will likely not be disappointed by the camera's built-in processing. 100 percent crop from original JPEG file. Click for full-size image. Click here for RAW image. 100 percent crop from RAW file processed with Adobe Camera Raw default settings. The overall theme with the D3500 is solid performance for the price. This is especially true with respect to image quality, as the D3500 really punches above its weight in this department. The images are clean and detailed at lower ISOs and impressively good at higher ISOs. While there are many nice aspects of the Nikon D3500, the autofocus system is not a strength. The 11-point autofocus system struggles in low light with a working range of -1 to +19 EV, can have difficulty dealing with moving subjects and simply put, lacks enough autofocus points. The 11-point array doesn't cover a large area of the image frame, meaning that if your subject is near the edge of the frame, you may need to employ focus and recompose techniques. It can also be a bit difficult to see which autofocus point is active. There are 11 rectangles in the viewfinder frame at all times, and if you are using a single point autofocus mode, you only see the active point for a split second when it lights up red after half-pressing the shutter release. However, I do like that you have immediate, direct control over the active autofocus point simply by pressing on the directional pad, as that's very helpful. When shooting video or using Live View, the situation is a bit different. You can still move the autofocus point using the directional pad, but there are many more points to cycle through and it can take some time. This is an area where a touchscreen would've helped a lot. The D3500 allows you to independently change the autofocus drive mode and autofocus area for shooting through the viewfinder or doing Live View/movie recording, which is a nice inclusion. In total, there are single-point AF, dynamic-area AF, 3D-tracking and Auto-area AF modes available when shooting through the viewfinder and face-priority AF, wide-area AF, normal-area AF and subject-tracking AF when shooting with Live View or recording video. Regarding viewfinder shooting, Dynamic-area AF and 3D-tracking can only be selected when using auto-servo AF or continuous-servo AF. Overall, the D3500's AF system does a fine job of locking onto a static subject, but the subject tracking performance is not very strong. Further, the camera's minimal number of AF points is a definite limitation. Although unlikely to blow you away with its EXPEED 4 image processor, the D3500 is quite fast for its price. The D3500 can shoot RAW images at 5.1 frames per second for just over a dozen frames with buffering taking just over two seconds. If you want to capture only JPEG images, the buffer is 100 frames and it takes just over a second to clear, making it the best choice for photographing action due to its buffer depth. The D3500 has good startup time and cycling through captured images and navigating menus is snappy, as well. Further, the camera has very good battery life, rated for 1,550 shots. Overall, this entry-level DSLR camera is a good performer. There are many positive aspects of the D3500's shooting experience. We have previously discussed the camera's good design and image quality, for example. For many, the D3500 will be their first DSLR camera and the first camera with the option of full manual exposure controls. This can be daunting. To help familiarize beginners, there is a special "Guide" mode on the mode dial. When you enter this mode, you select from four initial options, Shoot, View/delete, Retouch and Set up. To help new users learn the ropes, the D3500 includes a useful Guide Mode feature. If you enter the Shoot mode, you can then choose between easy and advanced operation. Advanced operation allows you to select from eight different scenarios: softening your background, bringing more of a scene into focus, freezing action (people), freezing action (vehicles), slowing down flowing water, capturing reds in sunsets, shooting a high key (bright) image and shooting a low key (dark) image. If you click on "softening your background," for example, the camera enters aperture priority mode and tells you about shooting with a lower f-number and a longer lens, it then allows you to select an aperture and capture a shot, giving you a warning if the scene is too dark or if there are any other potential concerns. In another example, selecting the "bringing more into focus" option also takes you into aperture priority mode, although this time advising the user to set the f-stop to a higher number and use a wider focal length. Guide Mode can help you learn how to take certain types of images. For example, if you wanted to shoot an image with a soft background, Guide Mode explains the shooting mode and settings you should select for the optimal results. Considering other aspects of the shooting experience, the D3500 offers matrix, center-weighted average and spot metering modes, with the lattermost option being tied to the active autofocus point. You can use up to five stops of exposure compensation via a dedicated button near the shutter release, which is particularly useful when in shutter speed or aperture priority modes. The camera does a good job of metering exposure and white balance and proved to be quite consistent across many different situations. Overall, my shooting experience with the D3500 is positive. The Guide Mode provides a great introduction to different shooting situations for new photographers and can teach you a lot about the general workings of a camera and which settings are typically best for capturing certain types of images. The Nikon D3500 is available exclusively as a kit with one or two lenses. The one-lens kit comes with an AF-P 18-55mm f/3.5-5.6G VR lens and the two-lens kit adds an AF-P 70-300mm f/4.5-6.3G ED lens (without Vibration Reduction, although a VR version is available separately). The kits can be purchased for as little as $400 and $500 respectively at the time of writing. Minor quibbles with the camera aside, these are excellent deals and you get a lot of camera for the money. In my experience with the two kit lenses, they are both pretty capable. The 18-55mm is impressively compact and delivers nimble autofocus in good light and nice image quality, especially in the center area of the frame when you stop down the aperture a bit. It's not designed to be a portrait lens, as the aperture isn't fast enough, although you could certainly capture nice family portraits or candid images using the lens. The 70-300mm lens, which is equivalent to a 105-450mm lens on a full-frame camera, offers up a lot of reach and pretty good performance provided that you are shooting in bright lighting conditions. Both lenses are excellent values, although I would recommend adding an affordable fast prime lens if you want to capture portraits with the D3500. The camera has great image quality, so if paired with something like a 35mm f/1.8 or 50mm f/1.8 lens, you could take really nice portraits with soft, out-of-focus backgrounds. Like the D3400 before it, the D3500's video resolution tops out at just Full HD (1,920 x 1,080), which is somewhat disappointing given the growing prevalence of 4K-capable cameras these days. Granted, many cameras at this price point don't offer 4K, so it is not particularly surprising, but it is nonetheless worth pointing out. Video quality itself is pretty good and the kit lenses are AF-P lenses, which means that they have faster, quieter autofocus during live view and video recording than prior versions. 1920 x 1080 video at 60 frames per second with AF-P 18-55mm lens. Overall, the D3500 is a stills camera that can also record video. Its specs would have been impressive a few years ago, but given the capabilities of competing mirrorless cameras and smartphones, the D3500 is an acceptable, but not great, option for recording video. 1920 x 1080 video at 60 frames per second with AF-P 18-55mm lens. ISO 12,800. 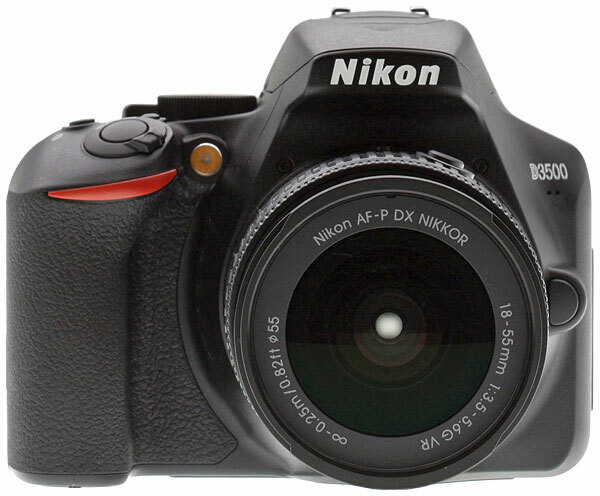 For an extremely affordable price, the Nikon D3500 delivers really good image quality in a compact form factor. The autofocus and overall performance are somewhat limited at times, but for its price and this camera class, the D3500 is impressive. Where the camera shines is in its usability and image quality, which are both very good not only for beginners but also for photographers as they advance and grow. Like its predecessors, the D3500 is an impressive entry-level DSLR camera.